Over the three years working at Dyett & Bhatia, Urban and Regional Planners, I was involved in more than 30 city/regional planning projects in various stretch of time. Transit-oriented design around a future transit station that balances growth and scenic view preservation (BART extension). Creating harmony between proposed high-intensity development and surrounding low-rise neighborhoods. 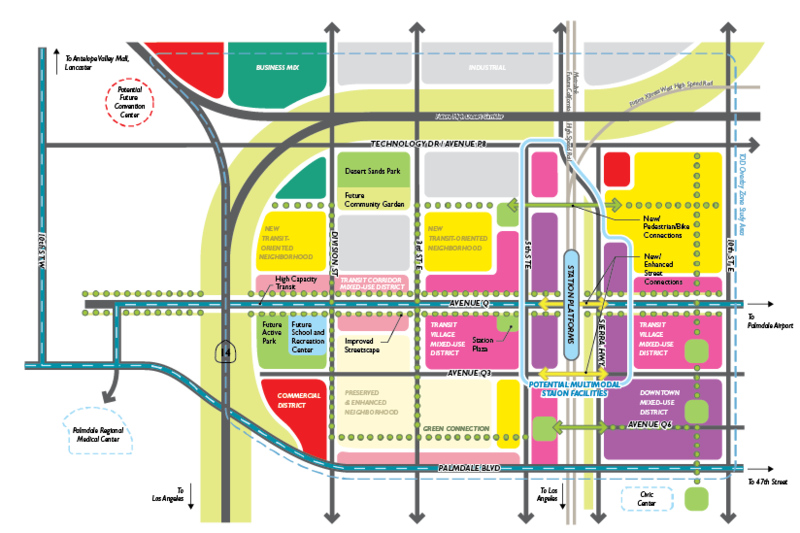 Transit-oriented design around a future High Speed Rail Station that considers all modes of travel. Due to intellectual right infringement, I unfortunately cannot show any of my design work here. I do encourage you to check out the links above, as many of my visual work appears in those documents. Please contact me at yinjwang@gmail.com if you wish to know more about the projects!